Looking to buy campers that need repairs. Must have reasonable chassis/tires/axles to tow it away. Must be priced cheap. Not interested in pop up unless free. 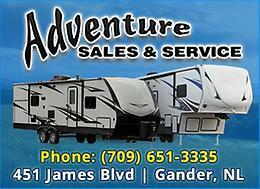 Looking to get rid of your water damaged, moldy, rough shaped camper send me an email with a pic and how much you want. 2 campers for sale up by 10 mile turn off. Barbie camper with accessories. Good condition. Pick up only. this is a near new barbie dream camper with all accessories. Barbie Glamour Camper with pop-up tent, makes sounds, chandelier that lights up. Closes up for storage.Accessories only, no dolls. All in excellent condition. Makes great Christmas gift. thinking about trading my cruiser for a camper , it's a 2004 800cc Suzuki volusia 23,000 kms. saddlebags, chrome light bar,windshield, and lots of extra chrome. looking for a 17 to 24 foot camper preferable 2000 and up , will also trade for right 4x4 truck . no junk please, e-mail the best way to reach me,thanks. Wanted to buy Awning for a 2004 Trail Cruiser camper. I’m selling my 2015 keystone sprinter 316 BIK camper. I’m asking for to take over the payments or to pay what is left owning on the camper. Interested please call 7807167055 for any questions The camper only been used a dozen of times and I’m away and not going to use it so I’m selling it. Firm. Pop Up Camper TRADE FOR RIFLE ..
NO PAPER WORK . No plate . 2000 hard top Camper. Works great. Some Reno’s done in the last year. Fridge stove & FURNACE . All works great. Hook up & go. Camper opens up too 24 feet. Queen in front double in back & table folds down to a double. All canvas is good . One small tear in one screen. Easy fix . It’s stored away for winter.. but would like to sell it as soon as I could. These campers are getting harder to come by for cheap prices that’s still in good shape .!! wont last long once the snow starts to go .! I don’t have paper work on it.. so no Plate ..reason for selling bought full size camper .! Maybe trade for something.. make me an offer if I can’t get a half decent offer I’ll Scrap it and make a skidoo trailer.. WANTED: Older model camper to tow to permanent location. Looking for an old camper to tow down the old rail bed and set up as a cabin. Call, text or emails are all ok.